Born 56 years ago . Joined 5 years ago . Viewed 238 times. Rediscovered a love for drawing in 2007 and I'm not looking back! You may know me as MissA_sketches, a site MOD for http://sketchfu.com, (soon to be defunct), it was a sweet ride and will be greatly missed. I owe that site an awful lot. © R. A. 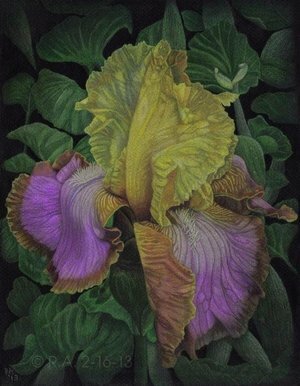 2-16-13 & published in June 2013's botanical issue of Colored Pencil Magazine. "We long to be here for a purpose, even though, despite much self-deception, none is evident."